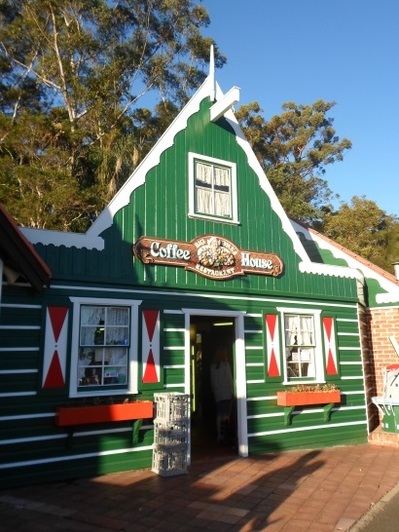 The Clog Barn has a lot to offer visitors to Coffs Harbour. On the one hand, it's a holiday park, providing a centrally located place to stay. 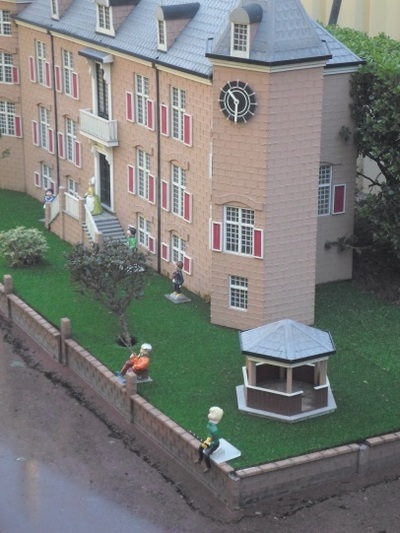 On the other hand, it's home to attractions like the miniature Model Dutch Village, which are worth a visit no matter where you choose to your head at night. 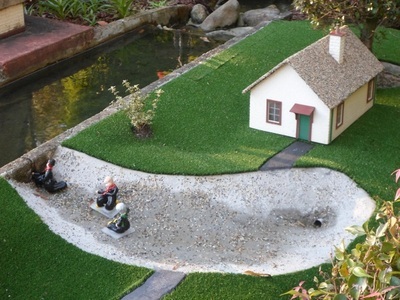 The miniature Dutch village found at The Clog Barn is free and open to everyone, whether you're staying at the park or not. While it's not that large, the small houses don't exactly need much space and there's quite a bit to see as you follow the single path that leads in a loop around the space. All the works here are miniature versions of real buildings in Holland. They include replicas of real houses in particular towns, as well as a sawmill, a royal palace and castles such as Muiderslot. Then there's recreated mediaeval villages and a series of houses clustered around a harbour. Some of the sites featured are quite significant, like Anne Frank's House at Prinesgracht and the Domtoren, which is the tallest church tower in the country. Figures feature in many of the scenes and sometimes they have been captured in entertaining moments, like the soldiers storming Muiderlot's walls. 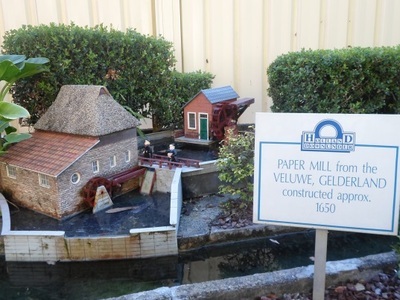 There are also moving elements like train, windmills and a drawbridge, pretty impressive considering that they're all made on site. Some of the larger models can take up to nine months to build. To get to the Model Dutch Village, you need to walk through The Clog Shop, as space that's largely a gift shop. 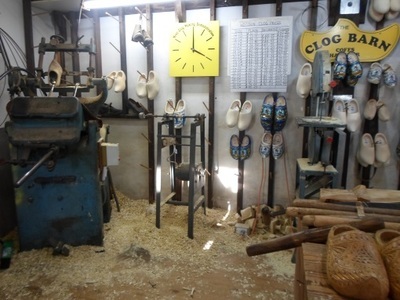 However, it's also where you'll find free clog making demonstrations taking place at 11.00am, 2.00pm and 4.00pm each day. Right next door to the shop, there's Big Oma's Coffee House, which is open for breakfast, lunch and afternoon tea and has authentic Dutch biscuit, pastries and liquorice for you to take home too. If you're are staying at the site, you can also try out the world's only clog-shaped pool.